At the end of the 1990s, SAP started to offer BI products with its packaged solution SAP Business Warehouse (SAP BW) which included besides data storage also front-end components (e.g. SAP BEx). 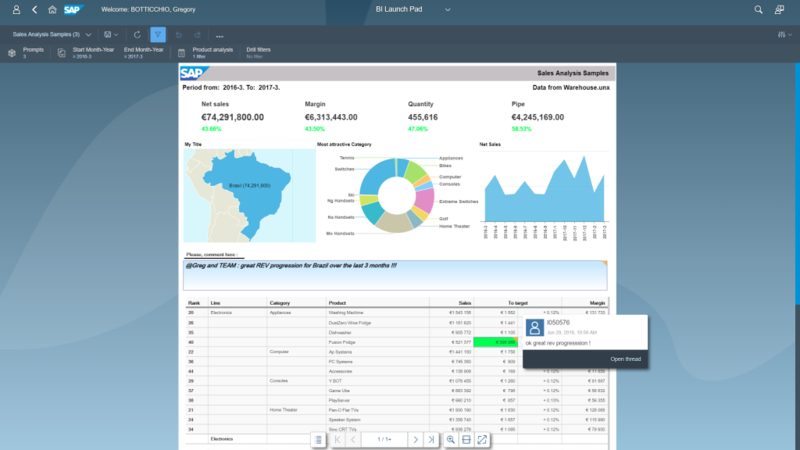 To support a broader user spectrum as it was possible with the SAP BW front ends, the vendor acquired Business Objects in 2007 and complemented the portfolio by additional, self-developed BI products like SAP Analysis for Microsoft Office and SAP Lumira. 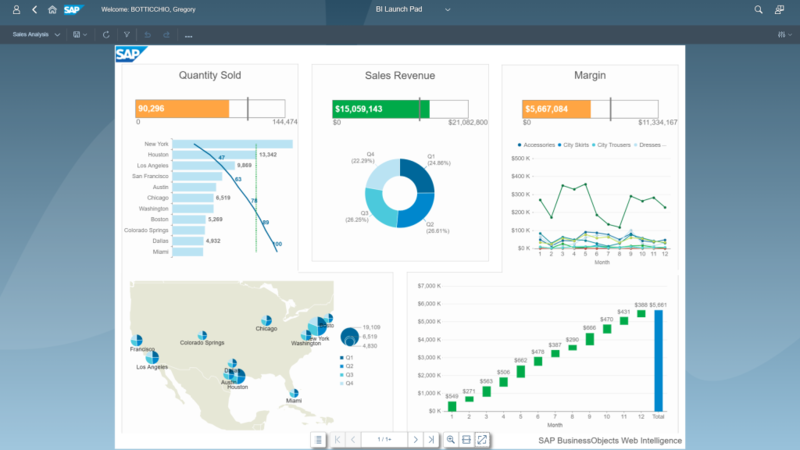 All of them were packaged as SAP BusinessObjects BI platform. Web Intelligence is part of SAP BO BI, which is based on a three-tiered architecture. Data modeling, settings for security and data access and metadata storage all take place in the solution’s central administration tools. WebI is an ad hoc query and reporting solution aimed at business users. WebI documents are created via a web-based or a rich client application and can be published in a portal. 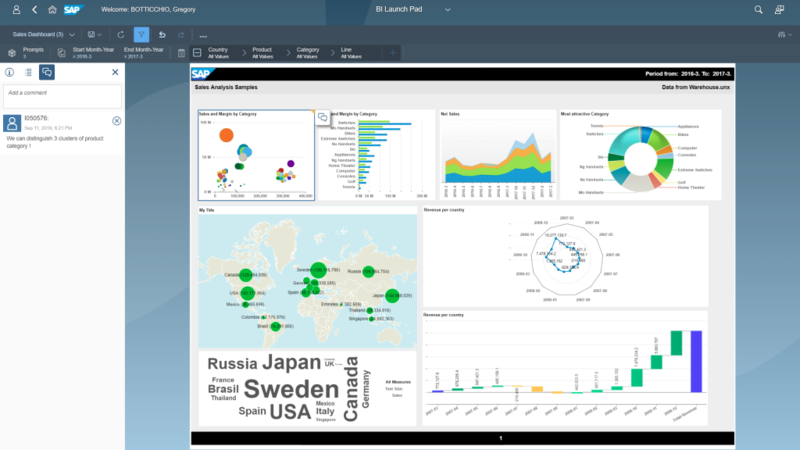 New documents are based on Universes, free-hand SQL queries, BEx queries, HANA views, Analysis Views (a data query sharing option between some of the SAP BO BI clients) and local files. A new document can contain more than one query (data provider) that can be synchronized (merge capability) at the client side. WebI is a product for ad hoc reporting and query, targeted at business users. 92 percent use it for standard/enterprise reporting and 88 percent for ad hoc query. 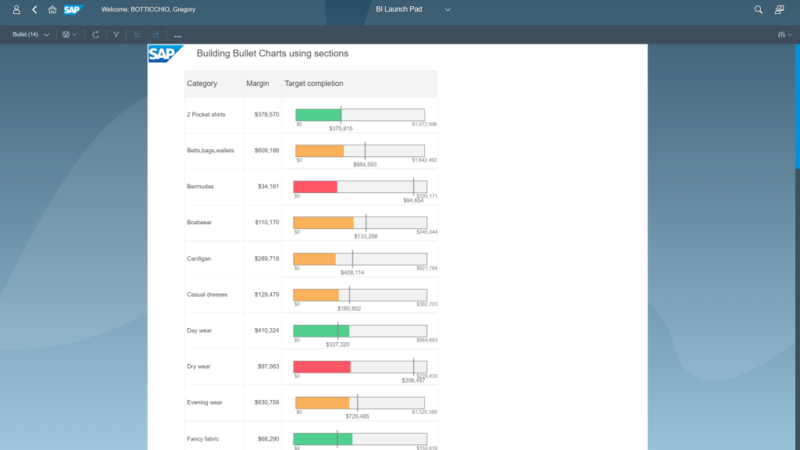 The tasks business users typically carry out using WebI indicate that only a few users create reports but the majority view them. 95 percent of respondents (compared to The BI Survey average of 91 percent) view the information provided by WebI. WebI’s business user orientation is underlined by the fact it often competes against other products with a focus on business users. Like other products in the SAP BO BI suite, WebI has good traction in large usage scenarios. Its user numbers (median: 200; mean: 919) and the finding that 64 percent of the companies using the product have over 2,500 employees support this assertion. BARC’s Vendor Performance Summary contains an overview of The BI Survey results based on feedback from SAP BusinessObjects Web Intelligence users, accompanied by expert analyst commentary. Sehr gut, modern und funktional hervorragend. It’s a flexible slice and dice tool that gives the users what they want. 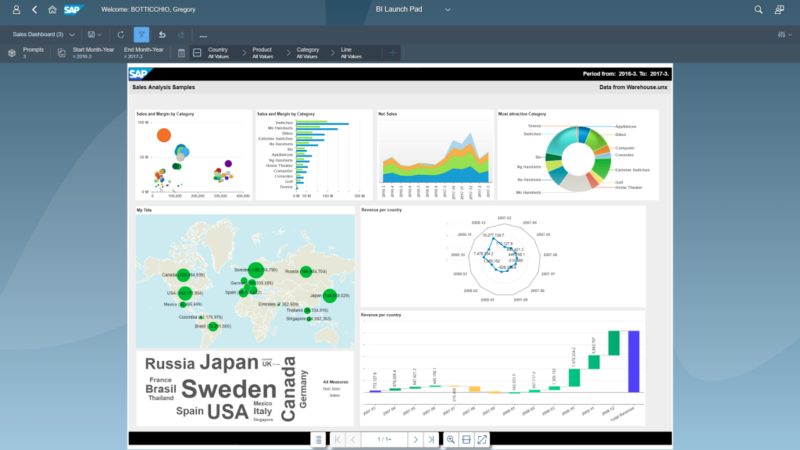 Great tool for enterprise organized BI. Overall a good product that is easy to use and is quite capable.